Laguna Niguel real estate offers many homes with panoramic views of the Ocean and Catalina Island, due the hilly terrain and close proximity to the beaches. Ocean views will vary from small area views (called pick-a-boo views) of the distant Ocean, to sweeping 180 degree panoramic views from nearby hilltops, and everything in between. There are no oceanfront properties in Laguna Niguel for the city boundary where Laguna Niguel ends and Dana Point begins is located roughly 1 to 2 miles to the Ocean. 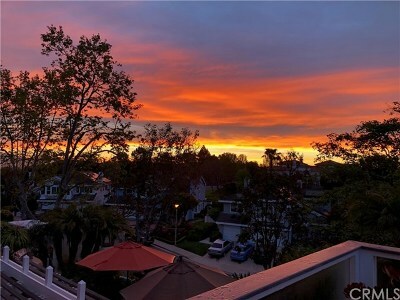 Below is a list of ALL Laguna Niguel detached homes and Condominiums with an Ocean View that are currently listed for sale. If you would like to see the inside of any of the Ocean View homes in Laguna Niguel listed for sale below, just send us an email: Info@SearchOCHomes.com or give us a call at: (949) 351-3899 ... we're easy to talk to.